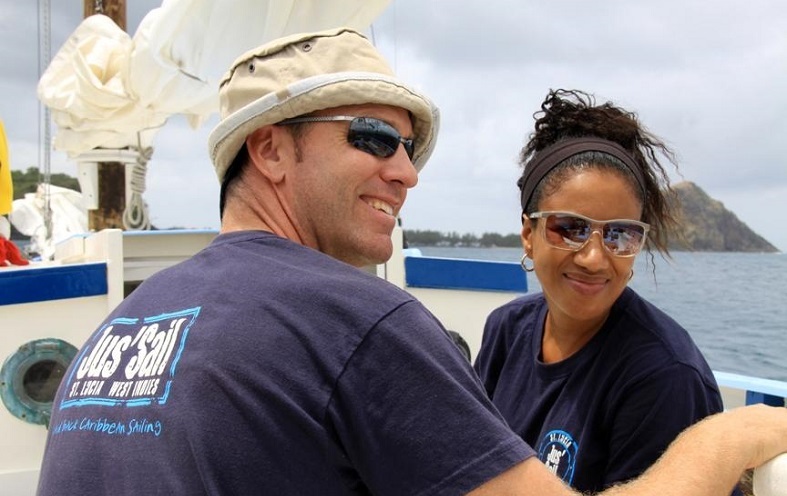 James Crockett of boat tour operator Jus’ Sail in Saint Lucia, West Indies (the Caribbean), in this interview shares his experience as responsible tourism entrepreneur. He tells us how, through innovative entrepreneurship, the award-winning Jus’ Sail is helping local youth to understand and embrace sustainability. Whether being a finalist of the WTTC Tourism for Tomorrow awards has had an impact on the business. James, do you remember what made you turn your passion for environment and local cultures into a Master’s degree in responsible tourism? What triggered your interest? 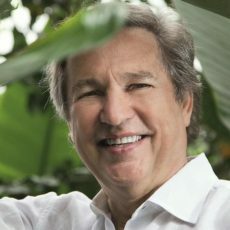 My interest in responsible tourism was born from my passion for environmental issues and the sustainable development of SIDS in the Eastern Caribbean. From 1997-2001 I worked as an instructor and Captain for ActionQuest and SeaMester Programs, yacht based educational voyages for teens and college students. I was fortunate enough to sail the length of the Lesser Antilles from BVI to Grenada several times. During those voyages, you saw the juxtaposition of tourism development, fragile ecosystems (often denuded) and poverty within local communities. There was a clear disconnect and the idea of pursuing a form of tourism that could be a driver for sustainable livelihoods and local economic development that also enhanced, not destroyed, the environment was compelling. From your experience, which aspects of balancing sustainability, guest satisfaction and generating tangible benefits for communities are the most difficult? How have you dealt with those challenges? Profitability of the business is the biggest challenge when you pursue the above. I have not found it hard to balance sustainability with guest satisfaction or generating tangible benefits for communities, because quite often they can be sewn together nicely. However, that takes an awful lot of work and energy. When you care about many aspects outside the direct running of your business to deliver on the bottom line, you find your attention and resources are not always focused on profitability as your primary goal or motivation. So, balancing the profitability of the business with the points you cite above is our biggest challenge. How to deal with this challenge… Remind yourself every day that without a profitable business you cannot stay in business and therefore cannot continue to deliver to your guests and local stakeholders! Your motto at Jus’ Sail, “Better places to live and better places to visit, in that order” is a great way to define sustainable tourism and a simple way to promote it. What else would you add to it? That motto is the tagline for Responsible Tourism, I learned it from Professor Harold Goodwin when first starting the MSc in Responsible Tourism at ICRT in 2008. I have yet to find a better way to express what RT means to me… I try not to add to it because I believe it’s an all encapsulating statement. Yes, obviously there are details you can get into, such as ensuring that a memorable experience for a tourist is also a beneficial one for the host, so that both parties come away happy. But to convey the ethos of RT, it has never been bettered! What was the most important thing you learned during your postgraduate studies – and during your time “on board”? I think the most important thing I learned during my studies was that no one has all the answers and that there is no magic silver bullet. Every situation must be dealt with individually and woe betide the “expert” who arrives in a destination and believes they know the answers better than the local stakeholders know the issues. If it was easy to deliver sustainability, it would already have happened. Arrogance from an outsider who has “the knowledge and the answers” is not helpful when working in a destination, and will not help to build trust or long-term results. Too many projects are consigned to history once the project funding dries up and projects end – thereby demonstrating their unsustainability. I would also suggest that I have learned more after graduating, since starting my own business and striving to make it work in the real world. Academic study is no substitute for working in the field. Life has a way of showing you that your best plans can come to naught if you are not flexible, adaptable, determined and humble. 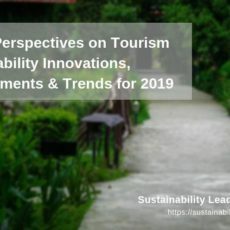 It’s extremely hard to make a small tourism business survive, let alone thrive, and the reality of running a business can sometimes overwhelm all the best intentions for focusing upon sustainability issues. How do your sustainability practices differ from those of other companies in the region? And where do you think you could still improve? I believe our primary point of difference is that our company has an explicit focus upon developing the local youth through our training program for unemployed youth, from which they can build the skills and confidence to pursue a rewarding career in the marine or wider tourism industry. Our focus upon youth development has generated goodwill and interest from our clients, the private sector and public sector bodies. The type of person who wants to enjoy an authentic sailing experience aboard a traditional local trading sloop also happens to be the kind of person who wants to know that the company they choose to spend their money with is actively engaged in helping to build the resilience of the community and the destination to which they have travelled. There is always room for improvement, this is what keeps you awake at night. Gaining greater levels of engagement with the accommodation providers and tour operators is probably where we could do better. You work a lot with the local youth. Are there any particular challenges linked to engaging adolescents with sustainability? Not really. Young persons tend to be energetic and passionate. If you inspire them and encourage their line of thinking towards evolving their consciousness and putting emphasis upon being a solid global citizen, they will often run with it and end up being more passionate than you are. The youth just need to be given the care and attention and opportunity to thrive. In the Caribbean, opportunities for that are sadly sorely lacking. In your experience, which are the key factors responsible tourism businesses and entrepreneurs need to keep in mind when implementing community programmes as part of their sustainability commitment? Take your time to work at a pace that local community and stakeholders are comfortable with. Too many projects are based upon the timelines that are suitable for the donor or funder. This does not take into consideration the reality of the lives of those persons that are supposed to be the beneficiaries. Invest time in extensive dialogue with local beneficiaries and stakeholders to ensure that the programme is really going to deliver for them and that it will be “owned” by them. Imposition from above or from outside will, without sufficient engagement by local persons, rarely deliver in the long-term. Be prepared to commit financial resources to getting locals involved. Many community members live a hand to mouth subsistence existence. This leaves them little opportunity to undertake activities that do not directly deliver immediate economic results. Or put another way, put bread on the table at the end of each day. It is unreasonable to expect local community members to always commit their time in kind to a project without any financial gain. They simply cannot afford to take that risk, no matter how worthwhile the project may be in the long-term. Long term thinking is a luxury they don’t have. So, setting aside budget to cover a stipend, at least, is essential. But obviously this must be looked at on a case by case basis. As a finalist of the WTTC Tourism for Tomorrow awards, how has this recognition impacted you personally, and the business? Despite the warm fuzzy feeling at the time, I have to say I do not think there has been any tangible benefit to the business or to myself personally. We are proud of the recognition that we received, but it’s old news already and there is no longer term impact that we have managed to gain from it. That is not to say we are disappointed or do not value the recognition ourselves. We feel good about it. Advocacy for policy change is one of the objectives pursued by Jus’ Sail. In your view, which policies are the most in need right now of being updated, linked to tourism and sustainability? And what is preventing such changes from happening? At a national level, in the Caribbean context, policy to pursue a level playing field for local companies to receive the same concessions that are often offered to foreign investors would be advantageous for sustainability of the local economy. A move away from development of large resorts on beachfront land is long overdue. Such developments ignore the realities of a changing climate and require the removal of habitat which helps to protect and sustain coastlines. In addition, building back from the remaining beaches and allowing greater freedom of access to beaches for others, be they locals or other visitors, will ensure a more balanced access to beach resources. This in turn can help develop a more balanced economy. Greater protection of fragile habitats and cultural heritage is essential if destinations are to retain their uniqueness, which attracts visitors in the first place. Developments should only be allowed at a scale that is appropriate for the location. Mega projects are not in my view the way to go on small islands. 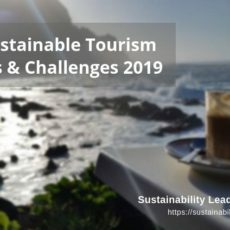 Which are the main challenges for local communities regarding access to international funding for sustainable tourism projects – and value chains? And how can these be overcome? The disconnect between the requirements of the funders – administration, financial management and project management skills – and the skill-sets available locally, within a community. Projects should be reverse engineered and designed to fit the needs and abilities of the beneficiary, not expect the beneficiary to adapt to the complex and bureaucratic methods of international donor agencies. Looking forward, which developments do you plan or foresee for Jus’ Sail and the St. Lucia destination in the next years, regarding sustainability performance? For Jus’ Sail a greater focus upon measurement of our impacts, but this requires resources beyond our reach for now. Nationally, I hope that more companies will get involved in the Saint Lucia Hotel and Tourism Association and its efforts to push the sustainability agenda. We are stronger together and greater collaboration is always beneficial to my mind. Connect with James Crockett on LinkedIn or follow Jus’ Sail on Instagram or Facebook. 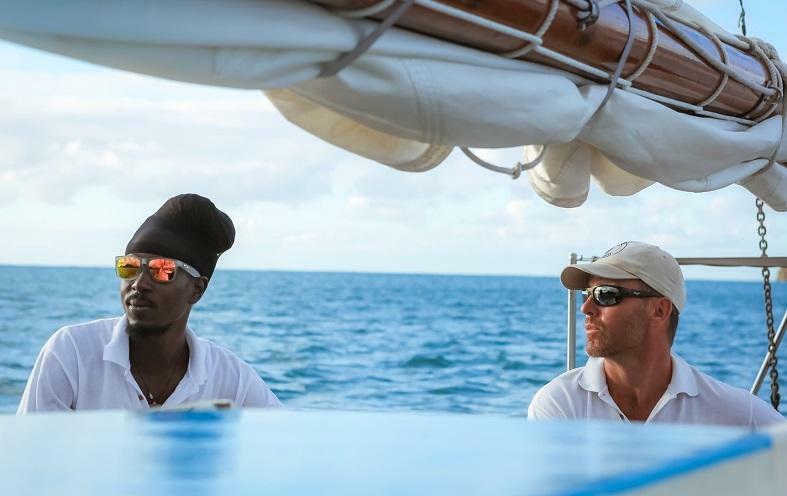 Enjoyed our interview with James Crockett of Jus’ Sail in Saint Lucia, West Indies, on sustainability entrepreneurship and running a sustainable boat tour business in the Caribbean? Spread the word!